The Centre's "Golden Age" mission is Preparing Humanity for the Great Transition� 2012. 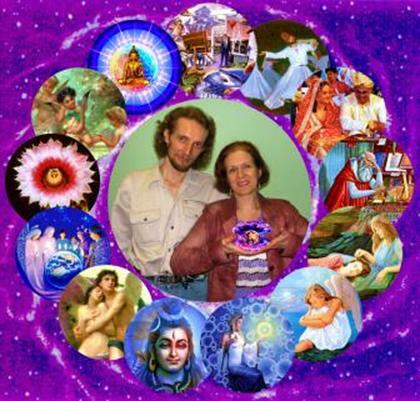 Our activities are aimed at the intellectual and spiritual evolution of people, Russia, Earth and� the Universe. We offer and use the most effective known techniques, and that were sent by representatives of The Higher Civilizations in charge of our development. We support all spiritual schools, all religions and all personal growth centres, whose activities contribute the evolution of individuals, their families and� their family tree of life,� our country and the Planet as a whole. The Cosmic laws. The Karma and religious rituals. The transformation of ordeals (sins).� The connection to the 55 energy channels. The CosmoBioenergetics�s system of body purification. Rebirthing and Holotropic Breathwork. Dowsing (Radiesthesia). Feng Shui. The Affirmations by Solnechnie. World of illusion. The neutral implant by Kryon. The laws of the Evolution. The transformation of pride. The methods for subtle energy pumping. The subtle planes. The subtle bodies and the chakras: the trinity, and multipolarity of the 13 Zodiac signs. Multi-dimensional spaces. The multidimensional structure of chakras.� The human twins in the parallel spaces (worlds):� their types and work with them in parallel worlds. Restoration, healing and activation of the matrixes of the Soul, Spirit, Monads and SuperMonads. Realization of your Mission.� Finding your spiritual half (twin flame).� Achieving Success and Prosperity. 2. Develop your vital energy to grasp the power of the Divine Existence. 3. Express� your emotions and feelings in a harmony way� to understand the power of Divine Love. 4. Clear up your mind and consciousness to grasp the power of the Divine Knowledge. 5, 6, 7.� The art of relaxation, concentration, visualization. 8. Intensification of the intuition. 9. Love and be loved. 10. Perseverance and confidence in achieving goals. 12. I live �here and now�. The Great Experiment of The Higher Civilizations on Earth. The smooth change of Earth�s magnetic poles (magnetic field reversals). The Matrix-crystalline structure of the Universe by Evgeny Vselensky. 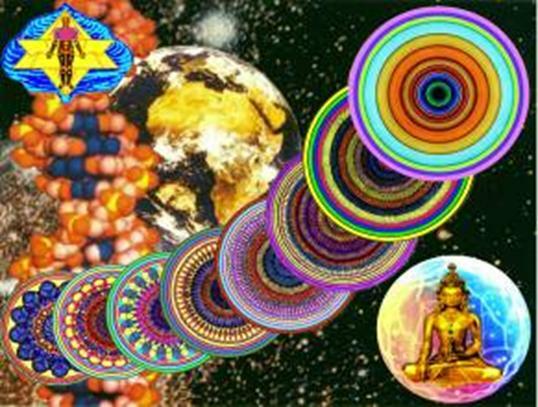 The Universe as a system of torsion holograms. The conscious creation from the Sacred Heart Space. Activation of The System of Light and Love fields �Merkaba-Universum�Zvezdathrone� (MUZ System) according to the methods of Evgeny Vselensky and Drunvalo Melchizedek. Four levels of activation of MUZ. Intensive intellectual and spiritual evolution. 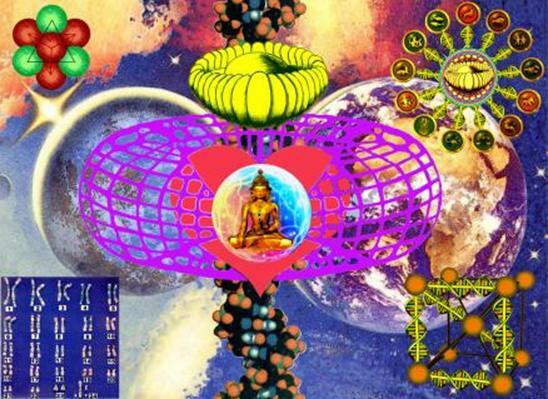 Activation of DNA of the Sixth Race by Vselensky�s method based on the activation of Matrixes of Conscious and Knowledge �Flower of the Universal Spiritual Love and Wisdom� (FUSLW).